Just a quick note to wish you all a Happy Thanksgiving! Hope you have a great day surrounded by loved ones and enjoy your holiday weekend! 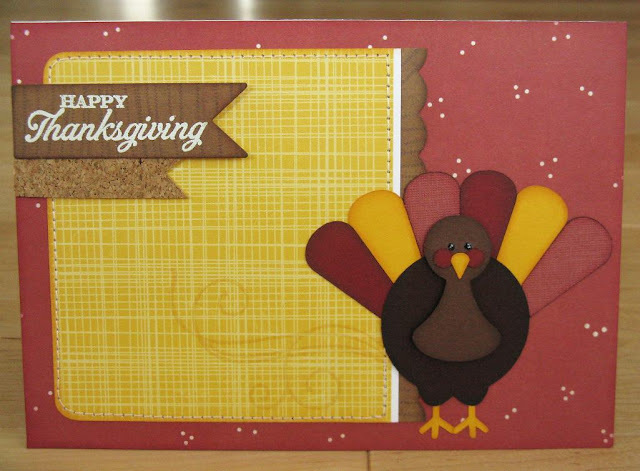 Super cute card....love that adorable turkey and the cork banner.